In The Book of Butterflies, Veton Surroi, the outstanding Kosovar Albanian journalist and founder of Koha Ditore, the daily of record in Prishtina, has produced an irreplaceable contribution to the historiography of the Balkan wars at the end of the 20th century. As I have written elsewhere and repeatedly, the difficulties of purchasing books outside Kosova and Albania that were produced in English in the two Balkan republics must be overcome. Surroi's literary and journalistic achievement must be widely read and recognized. The Book of Butterflies recounts, in a manner combining, brilliantly, impressions with political documents and commentaries, the least-known chapter in the violence following the collapse of former Yugoslavia. This was the brief Macedonian war of 2001 involving the National Liberation Army (NLA), known by its Albanian-language initials as UÇK – the same acronym as that of the Kosova Liberation Army, but indicating the Ushtria Çlirimtare Kombëtare [National] rather than that of Kosova. I was in Mal të Zi (Montenegro) during the Macedonian confrontation. I recall vividly the libels aimed at the NLA, its commander Ali Ahmeti, the admirably moderate Macedonian Albanian political leader Arbën Xhaferi from Tetova – whom I met in 2003 and grew to love as Veton Surroi loved him, before Xhaferi died in 2012 – and others struggling for Albanian equal rights in Macedonia. 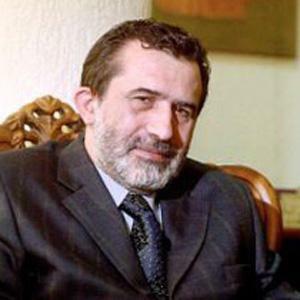 Rahmetli Arbën Xhaferi, 1948-2012. Fatiha. International diplomatic, military, and media strata that had descended on Kosova during the liberation war of 1998-99 portrayed the NLA campaign as an attempt to partition Macedonia. The Macedonians Albanian demanded a separate territory, it was said, in an "invasion" carried out by Kosovar Albanian adventurers and "hot-heads." I admit shamefully that, concerned as I was for the stability of newly-freed and as-yet-hopeful and unbetrayed Kosova, I agreed with those who disparaged Ali Ahmeti and NLA. I was, however, wrong. Veton Surroi, a reporter and intellectual of impeccable integrity, perception, and professionalism, has set the record straight. In an understated, objective manner Surroi recalls how foreign opinion turned against the Kosovars once NATO forces had expelled the Serbs from most of the country. Then, one after another, Western media and diplomats slandered the National Liberation Army in Macedonia as "killer bandits," liars, and terrorists. UK ambassador to Shkup Mark Dickinson receives a particularly sharp dissection of his anti-Albanian diatribes by Surroi, but others are not spared – Javier Solana and Carl Bildt, among them. All rushed to label the Albanian armed protest in Macedonia a terror offensive, and an expression of an atavistic Albanian separatism. But Surroi explains patiently that ethnic division, establishment of cantons, population shifts (i.e. expulsions), and a breakup of Macedonia were never the NLA's goals. Rather, the Albanians sought guarantees for their cultural and economic equality within Macedonia. Surroi and others had before them the examples of the partition of Bosnia-Hercegovina, and the threat, unfortunately realized in 2013, of Serbian seizure of Kosova territory north of Mitrovica. No Albanian wanted or wants another series of forced migrations, with people driven from their ancient homes, stripped to the possessions they can carry, and relocated in an exclusive ethnic zone. Albanians in Macedonia sought educational facilities in their own language and employment opportunities that had been denied them. Ethnic dissolution of the country was to be avoided in any case. Surroi portrays Ali Ahmeti as anything but an adventurer or extremist – rather, as a tranquil and competent organizer and leader, whose expectations were realistic and who never indulged in demagogy. In the pages of The Book of Butterflies we also encounter the ethnic Macedonian leaders as Surroi knew them. Thanks to his journalistic role, the representative of Koha Ditore had developed excellent contacts in the ethnic Macedonian political elite. He recalls the decline of Kiro Gligorov, the Communist leader in Macedonia (who died in 2012), and the rise of Ljupço Gjorgjijevski as prime minister, representing the VMRO-DPMNE (Internal Macedonia Revolutionary Organization – Democratic Party for Macedonian National Unity). Much later, he explains how Macedonian Interior Minister Ljube Boshkoski, anxious to establish himself as a leading "anti-terrorist," committed atrocities against Albanians. In that period, a group of Pakistani illegal economic immigrants caught in Macedonia were murdered and declared to be jihadists on the way to join the NLA, although the latter was never an Islamist group and the Pakistanis were innocent of anything other than unlawful crossing of the border. Surroi reveals an interesting belief – which I share – that Albanians and Macedonians can ally, perhaps even with Bulgarians, in an alternative "horizontal" geographical orientation to the traditional north-south "Orthodox Christian vertical" of Serbia and Greece. This makes sense particularly in Macedonia, which has suffered discrimination by both Serbia – which from 1912 to 1944 described Macedonia as "South Serbia" and denied Macedonian, as well as Albanian, rights – and, as every informed person knows, from Greece. The Athens government continues to block Macedonian integration into Europe on the pretext that "Macedonia" can only refer to Greek territory, so that the offensive description of the country as the "Former Yugoslav Republic of Macedonia" or FYROM continues to be widely used. And indeed, the great irony of Surroi's chronicle is that a low-intensity war, supposedly led by Albanian terrorists but, as he shows, stoked by Macedonian agitators, flared up and died down, while Macedonian Albanian political leaders maintained a dialogue with their ethnic Macedonian counterparts. For their part, Surroi, Xhaferi, and Ahmeti offered a consistently moderate and non-military solution to the Macedonian problem. For much of the time, foreign diplomats insisted that the ethnic Macedonians would never sit down with Ali Ahmeti of the NLA. Surroi, however, predicted correctly that the Macedonian side would not only end up negotiating with Ahmeti, but that Ahmeti would become a member of the Macedonian coalition government. 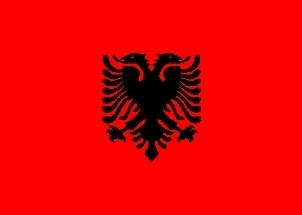 And so Ahmeti did, representing a new Albanian party, the Democratic Union for Integration or BDI. Finally, with the help of American and European experts and mediators, an agreement ending combat and promising Albanian rights in Macedonia was signed in Ohër (Ohrid). NATO troops arrived in Macedonia and the NLA surrendered its arms. Macedonian primeminister Gjorgjijevski denounced the Ohër Agreement as an imposition and named the mild and judicious Surroi as "the grey eminence" of events in Macedonia, and as serving as the liaison between "Albanian terrorists," Macedonian politicians and international observers. 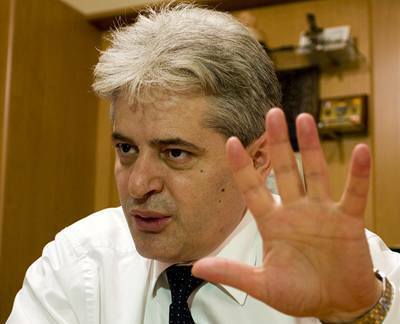 The status of Albanians in Macedonia remains problematical. The Ohër Agreement ended fighting but was a hasty resolution affirming a stalemate – but, at least, without legal segregation of ethnic Macedonians from Macedonian Albanians. Surroi's account is that of a superlative insider, excellent in his recollection of details and of the insights he gained through the Macedonian crisis of 2001. He notes the irony in which Albanians gained their own Latin-based alphabet at the beginning of the 20th century, while Macedonians were delayed in recognition of their language until the end of the second world war. This late coming to literacy illustrates, according to Surroi, how much ethnic Macedonians and Albanians have in common. The author also notes the critical points in the Macedonian confrontation, from fighting in the remote village of Tanusha to the siege of Haraçinë, whence NLA forces withdrew, but which Surroi – and international commentators – believed could be defended from the Macedonian military indefinitely. I noted early in this review that Surroi's text is impressionistic – remarkably so, I would add. The Book of Butterflies is strikingly different from typical media treatments of the Balkan wars, which tend to alternate between dry attempts to explain local history to outsiders and shocking scenes of violence. During the Macedonian conflict Surroi, whose father had been a Yugoslav ambassador to Mexico, visited that Latin American land and was affected by the conciliatory manner in which the then-newly-elected conservative Catholic president Vicente Fox, governing from 2000 to 2006, dealt with the "Zapatista" insurgency in southern Mexico. Fox served his single legal term as a Mexican president and became a background figure, and the "Zapatistas" are today forgotten by most people. But Surroi was impressed, as I was once convinced, that the violent, "macho" culture of Latin America could produce examples of compromise between warring political forces relevant to the Balkans and the world. And what do butterflies have to do with the Macedonian problem? At the beginning of his narrative, Surroi mentions a visit to a bar in London, the Churchill Arms, where a collection of dead butterflies, drawn from all the colonial possessions of 19th century Britain, is on display. At the end of the book, he evokes the life cycle of the butterfly, which, he writes, has "five lives:" the egg, the caterpillar, the chrysalis, as the insect grows, the living butterfly, and, finally, its death, collection, and placement on wall. According to Surroi, human beings also have five lives – the equivalent of display in death is the survival of a name and a reputation in history. As he states at the conclusion of this book, all of the personalities and phenomena prominent in the Macedonian events were changed by it. NLA leader Ali Ahmeti, Surroi points out, entered the scene as a warrior, but was transformed from a "terrorist leader" into a guarantor of peace. 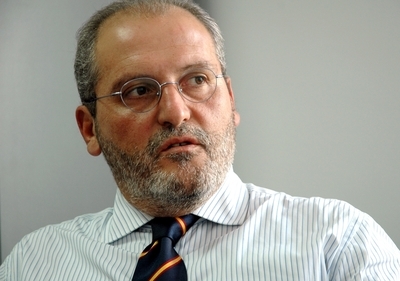 Arbën Xhaferi had been a member of the pre-2001 coalition government in Macedonia, appeared to have lost relevance, but ended up as the main negotiator for the Albanians. Prime Minister Gjorgjijevski was, at the beginning of the Macedonian bloodshed, a major figure for the West, but became a disappointed nationalist railing against the Ohër Agreement. Western diplomats began with a faction that defended the Macedonian status quo, but finally led the establishment of reforms in the country. The Ohër Agreement was denounced by Gjorgjijevski as a slight emendation of the Prizren Document, composed to assure Albanian unity in Macedonia and called "an agreement with terrorists" by the Macedonian regime and Western diplomats. Surroi agrees, in effect, with Gjorgjijevski, in that the Prizren Document became, quickly, the basis for the end of fighting and reform of the Macedonian republic. And while he leaves it unmentioned, Veton Surroi saw himself changed from a journalist to a statesman. He deserves congratulations for The Book of Butterflies, which should be read by anybody interested in the Balkans, nationalism, and peace.